Most organizational change efforts do not succeed. They fail to achieve the desired results. They are disruptive and sometimes leave the company worse-off. An oft-cited statistic is that 70% of organizational change efforts fail. This metric is attributed to Hammer and Champy’s 1993 classic, “Reengineering the Corporation” and is reinforced by a 2008 McKinsey survey of executives. A more recent Harvard Business Review article suggests that the glass is really half-full—60% of change efforts either fully or partially meet the objectives with only 10% of being outright failures. Regardless of your perspective, it is fair to say that change efforts are challenged. Most are meticulously planned but fail to remember that no plan survives contact with the enemy. When our initiatives run trouble, we doggedly continue down the same path with the hope we will eventually prevail. In reality, we would be better served by adapting and adjusting our plans. In this article, I suggest that we use an agile-adaptive approach for our organizational change and transformation initiatives. We should approach the journey like a road trip instead of a business trip. Business trips are focused and highly structured. Road trips, on the other hand, are about the journey. We still arrive at a destination. We experiment and alter our route. Our experiences inform our journey. The path may be winding, but the journey is richer. I have participated in many organizational change and transformation efforts that are often planned at an excruciating level of detail. Templates, milestones, transition documents, training schedules are developed. The change is treated like a product launch, with a predictable and time-certain date. Instead of setting the end point of our transformation, let’s set the direction. 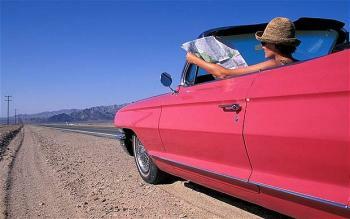 For our road trip, we want to head west from the East Coast. Experience this great country and finish on the West Coast. Maybe we want to specify California versus Oregon. We have our goal. We are not committed to a specific path or final destination--we will not finish under the Hollywood Hills sign on December 21, at noon. Instead, we will be in Los Angeles for the holidays. We should set our goals: increased revenue, reduced costs, greater agility, etc. Goals communicate where we need to go without narrowly defining outcomes, timelines, or routes. We want to motivate the need for change without mandating a specific path. We are establishing the “what” and “why”, but not the “how”. We are open to possibilities. Once, I challenged my team to significantly reduce our costs for executing a project because to remain viable. Each of my managers followed a slightly different path—one that made sense for their organization. My hope was to achieve a 10% cost reduction. By the end of the year, costs were down over 50%. By empowering our organizations, we invite creativity. We open the potential for multiple paths and “right answers.” Don’t forget that many great inventions like potato chips and the microwave ovens were discovered by accident and successful products such as Gmail and Slack were unplanned. For this article, we will assume our organization wants to become more Agile. That is our journey. We may articulate a goal of increased organizational agility to become more competitive in the marketplace. We may establish objectives related to reducing waste and adapting more quickly to change. Even though we are on a road trip, we still want to measure and chart our journey. We should develop a set of qualitative and quantitative metrics to measure our progress. Measurement is important. But we should recognize that our initial metrics may be rough indicators. Or, we may learn we are measuring the wrong thing. Or, unexpectedly incenting undesired behaviors. We should establish measures. But we should regularly review them to ensure we are measuring the right thing and achieving the desired results, not just hitting targets. For example on our Agile journey, we may decide to measure the number of projects or project teams that are “agile.” With this metric, we may be focusing on quantity over quality. Are the number of agile projects as important as having “good” projects? Or, are we spending unnecessary effort transforming functions where they payback is low? We have committed to our journey. We have set a direction. We have charted a course. We are setting out from New York City; our first stop may be Philadelphia. We know we want to see the Liberty Bell and the Rocky Statue. But certainly, there are other things to see and explore. For our organizational transformation, we should leverage the principles of progressive elaboration and rolling-wave planning. Upcoming increments are planned at a greater level of detail than distant work. We might begin our Agile journey by assessing the environment and culture. This will inform our next steps. Next, we may provide training. Rather than committing to a specific program, we might conduct a few pilot sessions, assess their effectiveness, and then adjust. Minimize the effort and time spent on plans that are likely to change. Chain hotels and restaurants offer the business traveler familiarity and consistency. However, organizational change does not fit neatly into predictive patterns, models, or practices. Force-fitting your organization into a generic blueprint may increase the risk of failure and disappointment. Culture, market conditions, and localized factors are critical. Understanding these dynamics can be the difference between success and failure. General Motors successfully implemented the Toyota manufacturing model at its Fresno plant but failed at duplicating the success in other facilities. Each factory had its own culture and motivations. On the road trip, we want to experience the adventure and be willing to experiment. We are in uncharted territory. We should try new things. See if they work. If not, learn from the failure. Cherish this opportunity. Act or adjust based on the outcome and what we learned. The key to the model is that we regularly assess (Check) our progress and make adjustments. For our change initiatives, we should review what has been accomplished. Analyze our qualitative and quantitative performance and then modify the next steps accordingly. On one Agile journey, the executives set a goal that “50% of all projects must be certified Agile by the end of the year.” The managers understood the mandate and declared even the most traditional, waterfall projects were “agile.” Recognizing this dynamic, the executives rearticulated the goal and how it would be measured. On our road trip, we may try new things. In Texas, we may find that we like fried okra after visiting Spring Creek BBQ. Through experimentation, we gain insight. We can learn without a large commitment. On our transformation journey, we can pilot and prototype new ways of working. We can learn from these experiments and adapt. These pivots should be encouraged rather considered a deviation from the plan. As you plan your next organizational change, begin to think about using adaptive, iterative, and incremental elements into the process. On our next installment, we will talk about some of the challenges we might encounter along the way.